Pioneer is aptly named as it represents a milestone in our heritage. 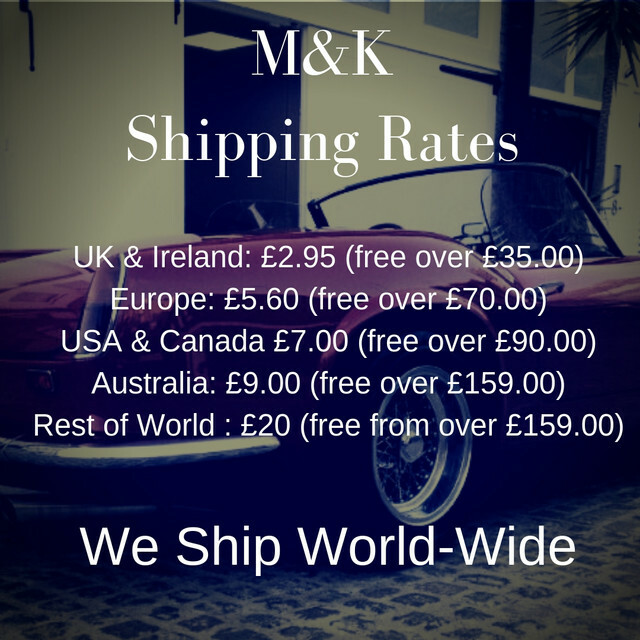 Mitchell and King are chosen and trusted by some of the most influential car collectors around the world, they trust our car wax as each creation is perfectly matched to the requirements of their car's paintwork. Earlier this year, we changed our location to an idyllic setting within the Scottish Highlands. We located our blending room within a historic 1850's Coach House and this where our story commences. Around the same time, we had a request to blend a luxury car wax for a Ferrari which we had never produced a wax for before. The car in question is a Ferrari FF. The Ferrari FF produces a staggering 740 bhp powered by a 6262cc V12. The FF offers the car enthusiast an array of complex aerodynamic body styling, which in turn can assist in producing a variety of tones on the car's body. The example in question was a daily driver which is kept in underground parking day and night. This combination of exposure and rest bite allowed for a blend of wax which we had never offered, something which ensured the cars various body lines were complimented, such as you would expect with a concours wax, teamed with the resilience of a winter car wax. The Ferrari FF features modern paint which can provide a highly reflective surface due to the light interference at the clear coat. The depth of colour and lustre is substantiated by the Rosso Berlinetta colour. With each car wax we blend we build a metaphorical picture of what we expect from the wax using the various details we are given. We could commence engineering a car wax which was perfectly acceptable, however, this would be the first car wax blended within the Coach House and that marked an occasion. Bearing in mind the colour and usage, we blended a car wax which would offer good levels of gloss ensuring the FF looked its best at all times whilst presenting a resilient surface. Pioneer features 40% T1 Pharmaceutical grade Carnauba, the finest Carnauba available, so fine it is the only Carnauba fit for consumption, so pure is its composition. This would offer good reflective properties which are beneficial when dealing with a modern paint system. Pioneer is a soft wax with a good level of adherence, its softer qualities make it an ideal wax for softer paintwork which is typically susceptible to marring. The natural oils we opted for within 1 ensure a silky smooth finish which substantially eases application. Pioneer is non abrasive and you can build up layers of protection due to the ingredient composition. Please include as many details as you can with your car and we shall blend a wax which is perfectly matched to your paintwork. This signature car wax is suitable for all paint types and offers protection for any season. Once Pioneer cured, offers sublime surface tension which purveys itself as very tight beading. Pioneer can offer richer reflections boasting gloss and colour intensity. As you can see from our description, 1 is a wax which every connoisseur should have in their arsenal. Begin your journey today. Please allow 3 days for commencement of your blend, there are only 150 blends available per year. this is my third wax purchase from Mitchell & King, ignoring for one second the wax, I work in a customer service environment so place customer service quite high on my list when looking to buy from a company. At Mitchell & King, it's likely when you ring, you will end up talking to John, he's the owner of the business so he knows his stuff, he's polite, knowledgable and very kind! My recent purchase was "Pioneer" on opening the lid for the first time you are welcomed by the most sublime aroma, that's even before applying! Application is very easy, after leaving it to cure for approx 20 minutes, it came off just as easily and the finished product was, as ever spectacular! My Porsche looks simply superb, worth every penny and more, I will be back to ensure I have the best selection and a great mug collection too! Don't hesitate get it bought! You won't regret it.